California conjures up a different image for everyone. It might be the bright sun illuminating the Golden Gate Bridge in San Francisco or Los Angeles’ famous Walk of Fame as crowds of tourists seek out their favorite stars’ names. Adam and I shared a vision: to us, California was seeing the waves of the Pacific Ocean crash along the coast and sipping wine among some of the most picturesque vineyards in the United States. We brought our vision to life when we planned a California wine road trip: in addition to driving along the state’s famous Highway 1, we picked ten wineries to try in four different regions over four days. Sure, Napa may reign as the quintessential spot to enjoy a glass of wine, but grapes grow throughout the state—and we had big plans to learn and try as much as possible. Planning a California wine road trip is a perfect way to enjoy an iconic visit to the Golden State. Here is our overview of where we went, what we tried, and how we did it safely, soberly, and strategically. Our California wine road trip started in San Diego, which ended up being surprisingly apropos because San Diego is likely the birthplace of California wine. 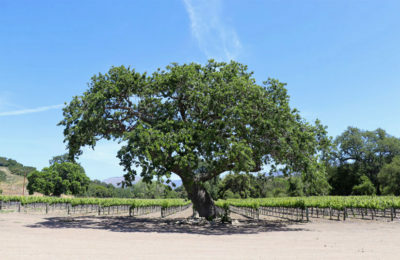 There are conflicting accounts as to where grapes were first planted in the state, but it is widely believed that the first record of a sustained planting was in San Diego in the 1770s, when the Franciscans produced wine in their missions. Today, there are dozens of wineries in San Diego County, and merlot and chardonnay grow well in the Mediterranean-style climate. The first California winery we visited was, in part, for a celebration. I had a chance to speak at the Association for Talent Development’s International Conference and Exposition, and a few hours after my session on storytelling and instructional design I met Adam and a few friends and former co-workers at San Pasqual Winery. 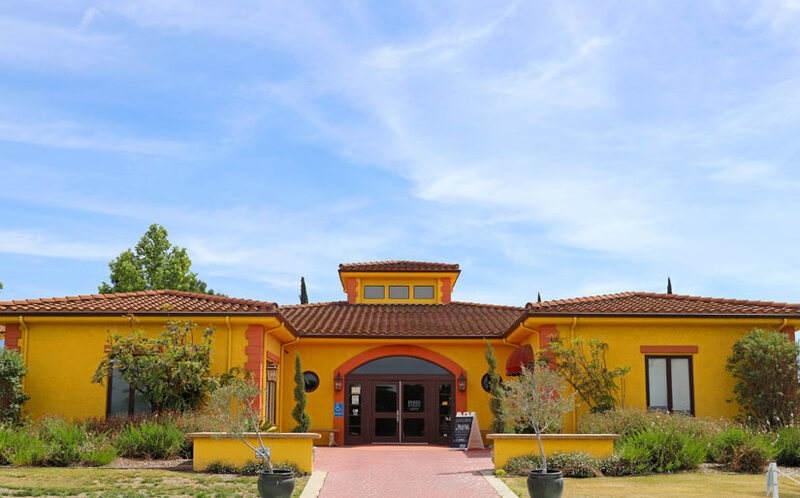 San Pasqual’s main winery and tasting room is 10 miles east of San Diego in La Mesa, but we gathered at their Seaport Village tasting room that overlooks the San Diego Bay. San Pasqual offers a great selection of reds, whites, and specialty wines, and while a few of the people in our group opted for a glass to enjoy at a table outside a few more of us decided to enjoy a tasting. From the lengthy list we were able to select any five wines to try. We both loved the Chenin Blanc, which was off-dry, bright, and full of juicy citrus fruits. We also enjoyed the Syrah, with its bold cherry notes, and the tannic, slightly smoky Nebbiolo. San Pasqual also produces some fun passionfruit wines; we tried the spicy habanero version as a frozen wine slushie and thought it was a great, refreshing treat for a warm evening. 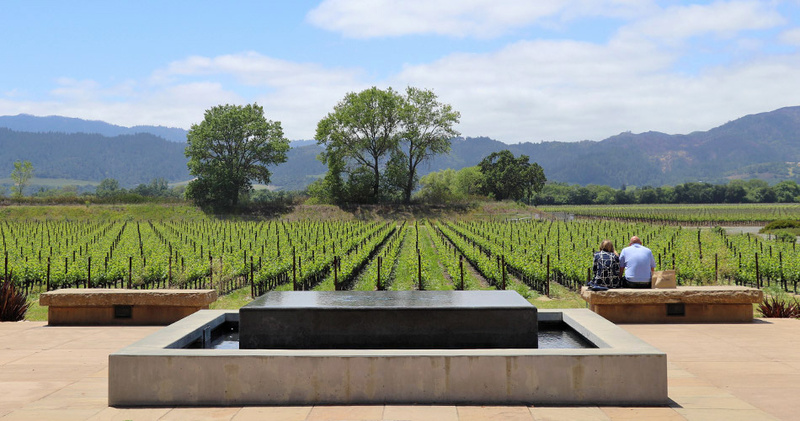 The staff was knowledgeable and incredibly friendly; the winery was busy with fellow conference attendees, yet we were well-cared for and welcomed as we lingered over each pour. Overall, we had a great time and loved the fact we could have a nice, traditional winery experience not far from San Diego’s Gaslamp Quarter. 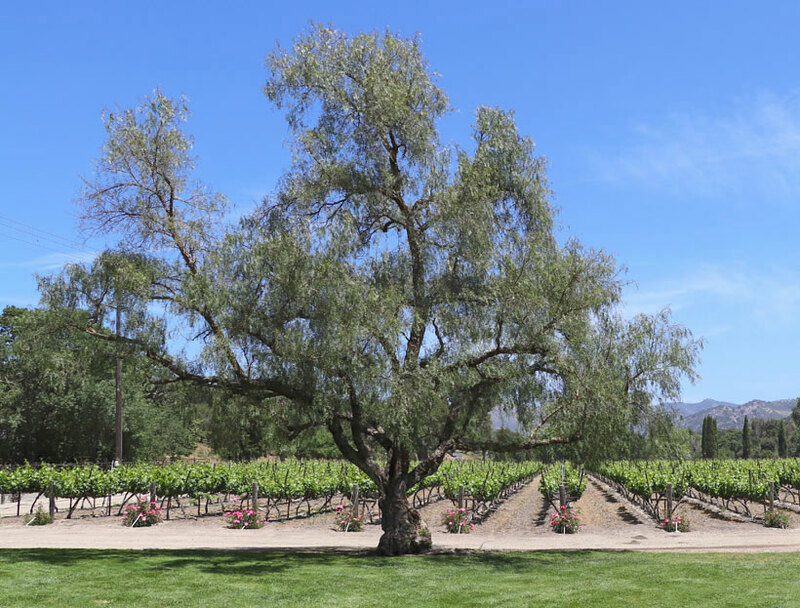 I didn’t realize southern California produced such high-quality wine, but San Pasqual was a great introduction to the region—and to California wine in general! California’s beautiful central coast is home to hundreds of wineries that represent an incredible diversity in varietals and styles. 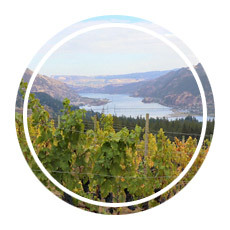 Geography is key in this part of the state; the Transverse mountain ranges produce micro-climates that, in turn, create optimal growing conditions for many different types of grapes. 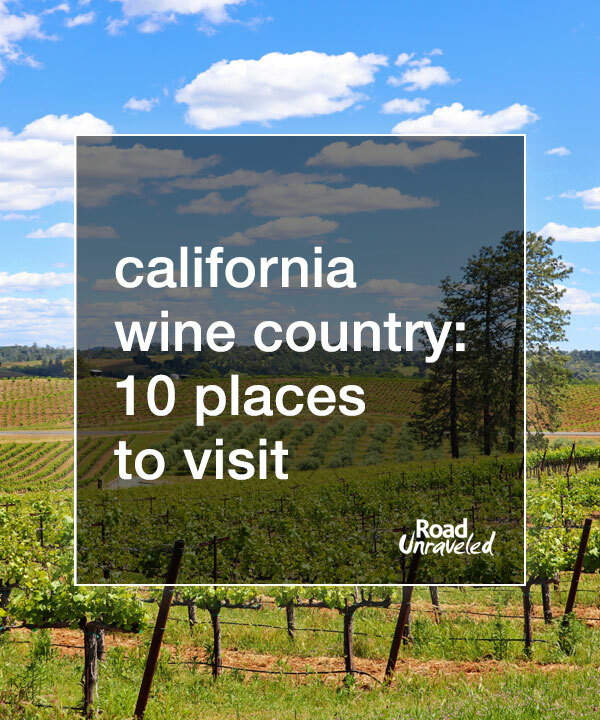 That makes this part of the state ideal for trying California wine—and it’s a great region to include on a California wine road trip! 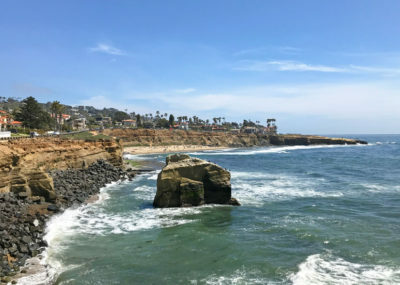 The Central Coast—Santa Barbara specifically—is also noteworthy for fans of the film Sideways. The 2004 movie that stars Paul Giamatti as Miles and Thomas Hayden Church as Jack was set in and among several wineries, two of which we visited as part of our California wine road trip. Fans of the movie might love seeing some of the spots they will recognize from Miles and Jack’s misadventures, but the wine is reason enough to plan a few stops! Sideways is one of our favorite travel-themed movies, so we were very excited to visit a few of the locations. 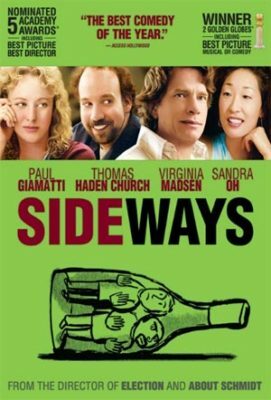 One of Sideways’ most famous scenes is from the first winery they visit, where Paul Giamatti’s Miles shares his insights on how to properly taste wine. Hint: don’t chew gum. 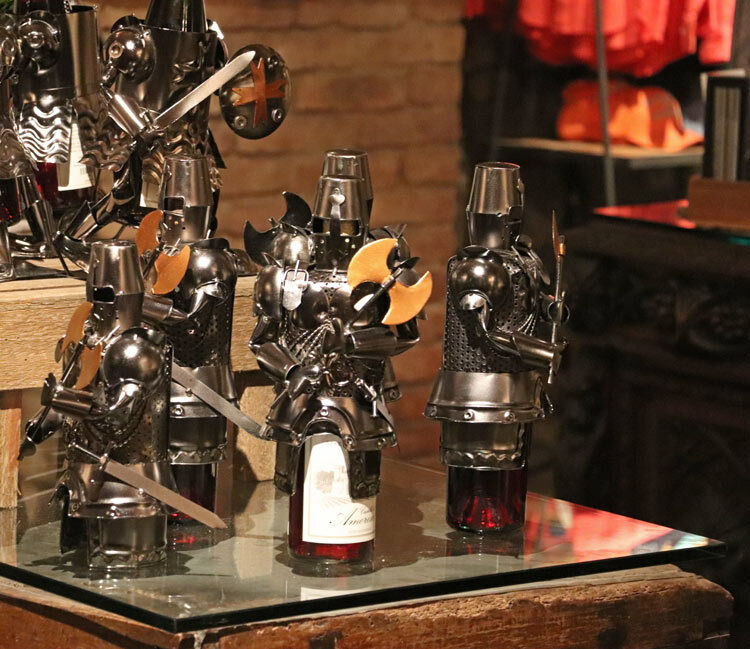 That scene was filmed at Sanford, which looks a bit different these days thanks to some remodeling, but it doesn’t take long to understand why wine lovers will appreciate what they have to offer. Sanford is home to the oldest vineyards in the county, and the wines offered represent decades of tradition and quality. Sanford offers two tastings—a classic flight and a reserve flight—and we ordered both so we could try a little of everything. I was particularly impressed by the Pinot Blanc, the Fleur Du Domaine, and the Sanford & Benedict Vineyard Pinot Noir. The Pinot Blanc was bright, floral, and had a touch of sweetness on the nose. The Fleur Du Domaine was one of the most complex white wines we have tried; crisp, acidic, and bursting with the flavor of summer peaches, it’s a really interesting wine. Sanford makes a few different Pinot Noirs—each of them very good—but our favorite was the Sanford & Benedict Vineyard Pinot Noir. It was really well balanced, just a little peppery to me, and full of red fruits. We loved our visit; we pulled into the driveway of the Lompoc location just as they opened, and we were treated to a lovely, relaxing tasting that made it difficult to leave. Fess Parker Winery looks just the way it did in Sideways, where it was called Frass Canyon: I paced the covered walkway where Miles gets some unwelcome news, and Adam and I enjoyed our tasting in the same spot where Miles throws a memorable fit. These days the winery has separated itself from that image and embraced the spirit of its namesake, the actor best known for his portrayal of Davy Crockett. We started out alone for a 15 USD tasting that included five wines as well as a few bonus pours that our tasting associate shared with us. By the time we were halfway through with the tasting menu several couples had come in, but we were never rushed. In fact, when several members asked for a taste of a wine that wasn’t on our menu we received a generous pour of it, too. When our tasting was over, and Adam walked outside to get some pictures, I lingered to chat with a lovely lady who had driven from Arizona to pick up her club shipment. As she was offered a few wines to try, I noticed my glass was refilled as well. The staff’s generosity and hospitality were just as wonderful as the wines! Of the wines we tried, it was Marcella’s—a white blend—that stood out to me. I’m a huge fan of blends, and this one is primarily Grenache Blanc and Viognier with Roussanne and Marsanne. I thought it was clean, almost bold for a white, with big apricot and apple flavors and a bit of an unexpected peppery finish. I hadn’t tried a white wine like it before, and we brought a bottle home to enjoy during the summer. The Big Easy was another winner. It’s a red blend, this time Syrah, Petite Syrah, and Grenache, with lots of red fruits like cherries and blackberries with some blueberry and vanilla on the finish. 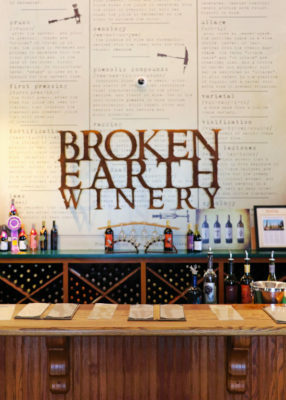 Paso Robles is a terrific wine region, and we made Broken Earth Winery our next stop on our California wine road trip. 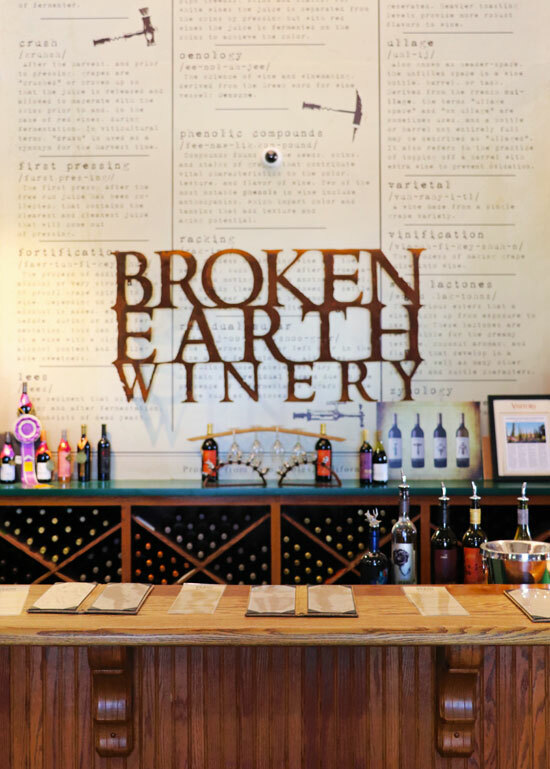 Broken Earth isn’t far off the 101, although it is a bit inland; Adam and I decided to trade our views of blue waves for a winery just a bit off our path, and the experience was well worth it! 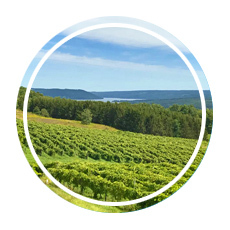 Broken Earth is committed to sustainable farming and wine production practices, and the winery has made great advancements in their more than 30 years in the industry. We decided to enjoy the wine and cheese pairing, which was a great deal at 10 USD for six wines and six cheeses. There wasn’t a single pairing we didn’t love; from the crisp Albariño paired with salty goat Gouda to the fruit-forward Cabernet Sauvignon paired with nutty Gruyere, every sip and every bite left us wishing we could have that experience every day. The Reserve Merlot paired with truffle gouda was my favorite of the day, although the Chardonnay paired with blue cheese was a close second. Pairings change regularly, but it’s worth it to upgrade to a food pairing during your visit (and a wine and chocolate pairing is available as well!). We stayed much longer than expected because we had so much fun chatting with the staff, who were well-versed in wine and cheese and had lots of fun stories to share. 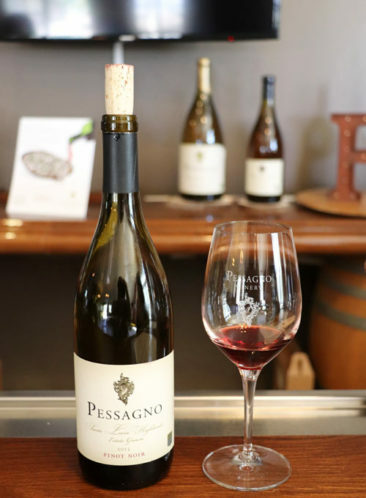 Toward the northern portion of California’s central coast, we stopped in for a tasting at Pessagno Winery. 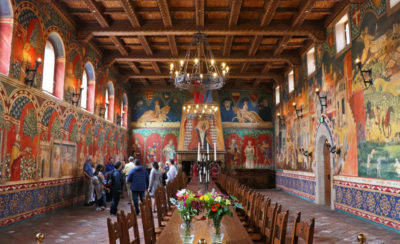 Pessagno made our list primarily due to its location in the Salinas Valley, a part of the world I have always loved in part due to John Steinbeck and his masterpiece East of Eden, which was set there. The winery represents a twenty-year history of winemaking. For 15 USD, Pessagno offers a tasting of five wines from the twenty they list on their menu. Adam and I were quick to select 10 and agree to share all of them. The stand out wines were the blends: Due, Tre, and Quattro were all excellent, although Tre was my favorite. A blend of Cabernet Sauvignon, Merlot, and Tannat, the wine is smooth and spicy with lots of vanilla tones. Adam was partial to the Pinot Noirs, and I also enjoyed the Intrinity Chardonnay with its oaky, tropical finish. We arrived close to the end of the day, yet the winery was busy and almost every seat at the bar was taken. Once we sat down we weren’t rushed, and the staff was great with recommendations and ensuring our glasses were never empty. A California wine road trip wouldn’t be complete without a stop or two—or even a day—in the Napa Valley. 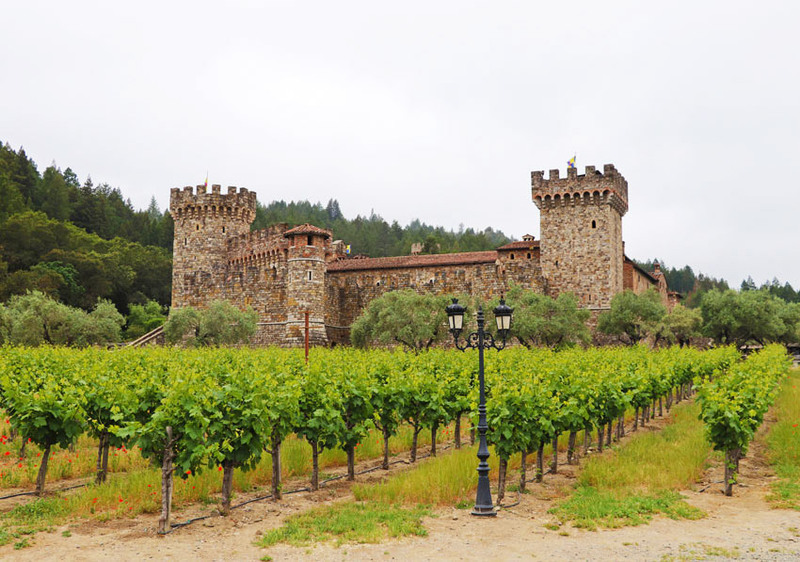 California wine is often synonymous with Napa; many of California’s most famous wine brands are based in Napa, and it’s an incredibly popular spot for wine tourism. In some ways you can’t go wrong; our drive along St. Helena Highway through Rutherford and Calistoga took us by dozens of wineries. 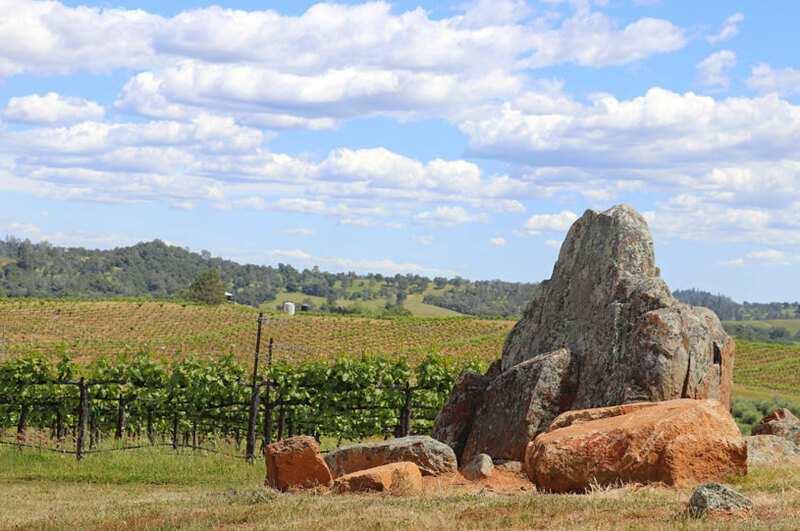 From world-class vintages to picturesque locations, Napa is a great wine destination. We decided to visit Castello di Amorosa for one reason: it’s a winery inside of a castle. 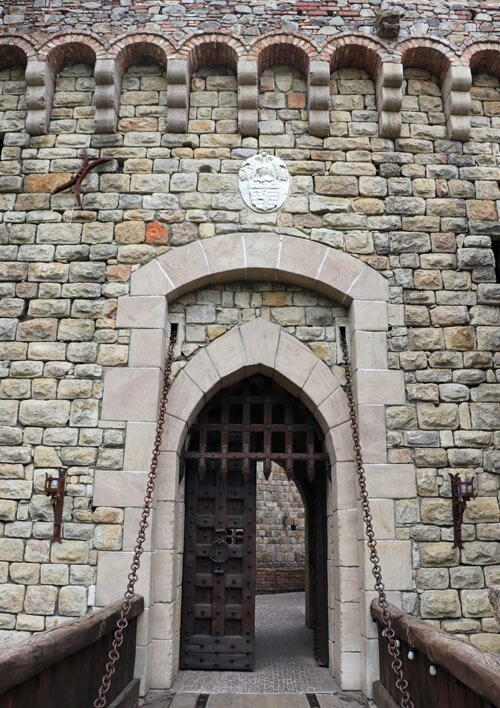 We’ve seen plenty of castles during our adventures in Europe, but castles in the USA are a bit harder to find. 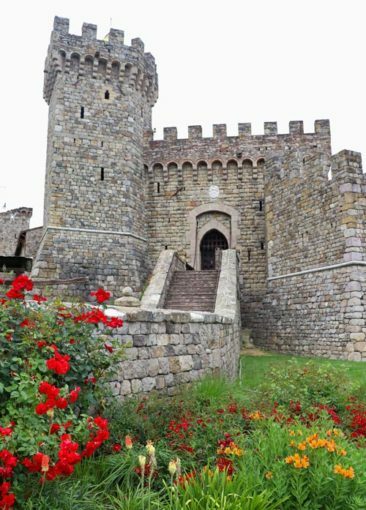 This castle, built more than 20 years ago, is a traditionally-built Tuscan-inspired construction that would certainly look more at home in Italy than in California. It’s a bit more of a tourist attraction than we usually like to visit, but we made an exception in case the wine happened to be good—and we were thrilled to find the wine was even better than the castle! Castello di Amorosa offers several different options for visitors, from a basic tasting to a combined tour, tasting, and food pairing experience. We decided to enjoy only the basic tasting, which allowed us to select any five wines from a pretty extensive menu. Vincenzo, who greeted us when we walked into the tasting room, immediately took control of our experience, and we tried more than the five wines our admission provided. When he learned we like both red and white wines he carefully selected all of the wines he thought we should try—including a few that were not on the menu—and built a great, customized experience for us. The Sangiovese was oaky with lots of berry notes, and it was one of Adam’s favorite wines of the day. I really liked the Old Vine Zinfandel, which had notes of tobacco and berries and was well-balanced. We ended up purchasing the Il Brigante, a delightful wine that blended all of our favorites—Cabernet, Merlot, Zinfindel, and Sangiovese—into a practically perfect bottle. 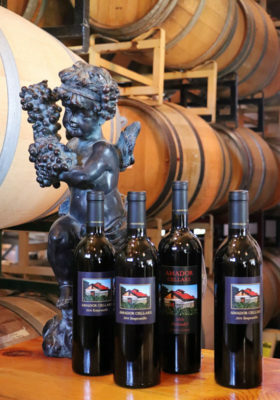 Silver Oak Cellars produces exactly one type of wine: Cabernet Sauvignon. Our visit was a personal one for me; I received a bottle of Silver Oak from my father for my birthday several years ago, and because it’s still the best bottle I own I haven’t opened it yet. Our visit to Silver Oak was primarily so I could taste a wine I already own. Still, I was excited to experience what I knew would be a quality tasting. 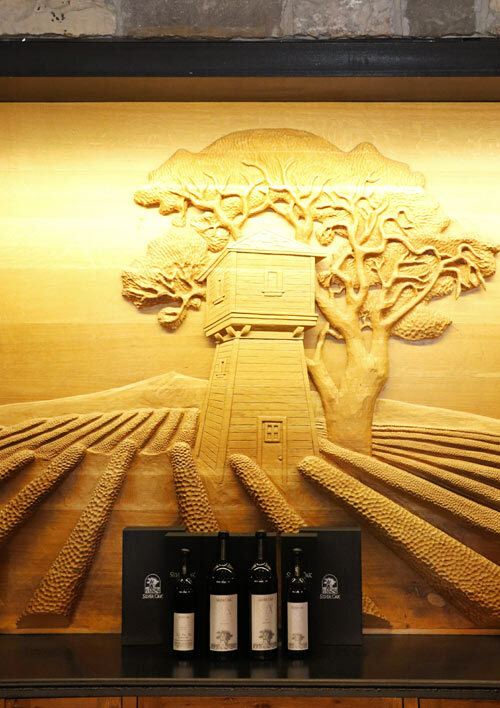 Silver Oak releases wines that have already been aged so they are ready to drink right away; although bottles can be cellared for additional time, they don’t require it and may not continue to improve beyond an additional 5-7 years depending on the vintage. Silver Oak offered three wines during our visit: the 2012 Napa Valley Cab, the 2012 Alexander Valley Cab, and the 2006 Alexander Valley Cab. All three were exceptional; fruit-forward, balanced, and nuanced. Greg provided us with three generous pours, and when the last drop of my 2006 Cab was gone he refilled my glass without a word. In addition to enjoying our time talking with the staff and a few other guests, we loved the tasting room and had a great time walking around after our tasting to explore the view outside. Silver Oak has one of the more expensive tasting fees we saw, but for 30 USD we enjoyed three nice pours, a bonus pour, and got to bring home Silver Oak wine glasses for our collection. Considering I got to enjoy quite a bit of the 2006 Cab—a 225 USD bottle!—it seemed like a bargain. The experience was worth every cent. 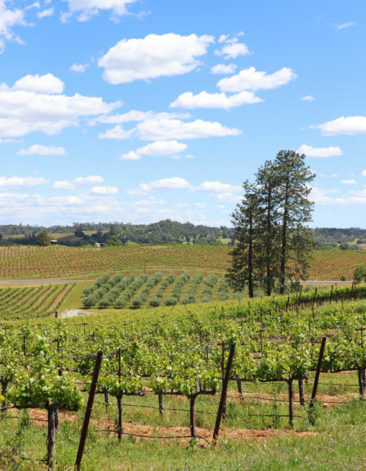 Just west of Napa—yet just far enough that it falls under many travelers’ radars—is Sacramento and the Sierra Nevada foothills, an impressive region that draws comparison to Virginia’s Shenandoah Valley. Wineries started popping up in the 1850s during the Gold Rush that sent thousands of people to the area. Vines benefit from a warm climate with low humidity, and temperature fluctuations between daytime and nighttime help the grapes to retain a nice acidity, which leads to well-balanced wines. We visited Amador County with Adam’s aunt and uncle, who hand-selected some incredible wineries to round out our California wine road trip. 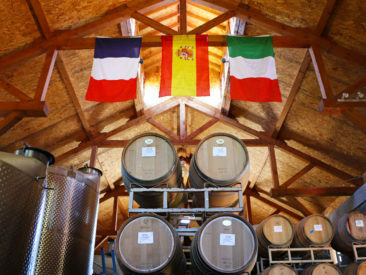 Amador Cellars focuses on some lovely Mediterranean varietals that we know well because they also grow well in Virginia wine country. We instantly loved the family feel of the winery; the intimate tasting room welcomed a few groups during our visit, and it was hard to hear anything but laughter from people new to the winery and some who knew it well. Run by brother and sister team Michael and Ashley, the head winemaker and assistant winemaker respectively, we had a chance to try the wines on their tasting menu and check out the incredible winery itself. For 5 USD visitors have the chance to sample six different wines, and we loved them all. The GSM Blend (Grenache, Syrah, and Mourvedre) was an instant favorite; it had notes of blueberry and lavender, and we were quick to decide we needed a bottle to bring home with us. We also enjoyed the Rocky Point Vineyard Zinfandel, with its big, bold fruit flavors and a softness that is hard to achieve in winemaking. The staff was incredibly welcoming, making sure we had a chance to revisit favorite wines, and we felt right at home during our visit. The Helwig family isn’t originally from California’s wine country, but you would never know it—their wines taste as if they benefit from generations of winemaking expertise. Started just about a decade ago by a family that relocated from the USA’s Midwest, Helwig hosts wine tastings, concerts, and other events throughout the year. We tried nine wines—six from their regular tasting menu and three new additions—while we visited Helwig. Not surprisingly, the blends were my favorites. Their version of GSM was fruity and peppery, and the Round Up Red (Syrah, Mourvedre, Petit Syrah, and Tempranillo) was easy to drink and combined the tartness of red cherries and pomegranates with the sweetness of chocolate. We ended up sharing a bottle of Viognier while having a picnic lunch, which was a perfect way to spend a relaxing hour. The Viognier was similar to what we love about Virginia Viogniers; it was light, crisp, and tropical with a clean finish. 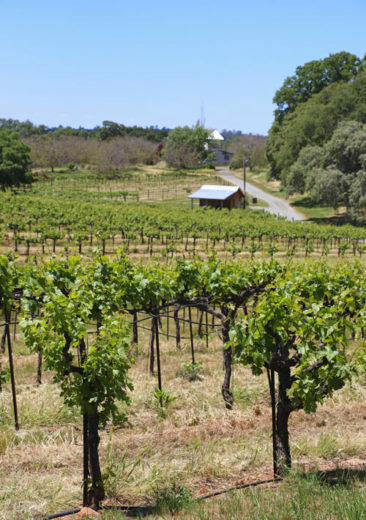 Renwood Winery has a great tradition of winemaking in Amador County. For 25 years they have produced a variety of wines with an emphasis on Zinfandel, which grows well in the region. By the time we arrived to sample a few wines the tasting room was busy, but we still had a warm, welcoming experience from several fantastic people behind the bar- including our host Nicole. 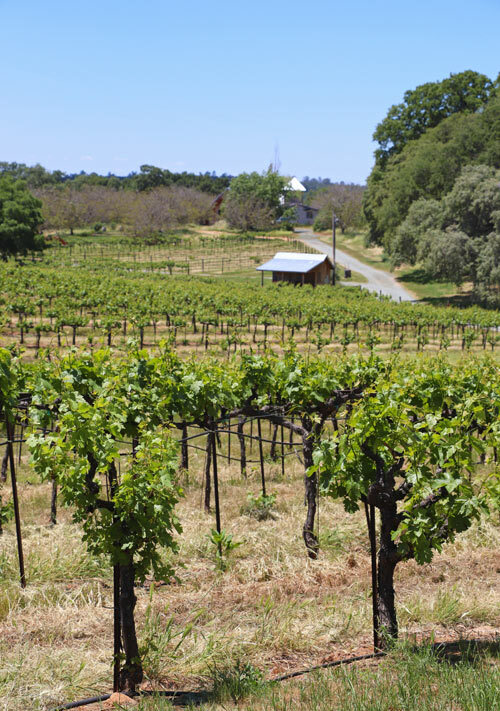 Renwood offers several different flights, including one just for Zinfandel fans, but we both tried the Taste of Renwood flight to get a more well-rounded idea of what they produce. We sampled a Sauvignon Blanc, a Tempranillo, a Barbera, a Zinfandel, and a red blend. The Zinfandel really stood out to me; it had lots of blackberry and red fruit flavors, and it was easy to drink. The Sauvignon Blanc was also great, and on a hot day its bright crispness and citrus tones would be a refreshing choice. We loved our visit and wished we had time to relax outside, where dozens of people gathered at tables with a glass of their favorite wine after their tasting was complete. The map below has the locations for each of the wineries we visited for this post. It also includes places like Acquiesce Winery, the Windmill Sideways Inn, Gott’s Roadside, and a few more spots to consider as you plan your own tour of California wine country. We visited 10 wineries over the course of a week with a goal of experiencing one to three wineries in each of the regions on our route. Depending on your own travel plans and interests, you may want to focus on just one or two regions. Plan to visit just a few wineries on any given day. You will have more time to get to know each winery and savor the wines they produce, and you will avoid making illegal or dangerous decisions by limiting your wine intake. If possible, travel with a designated driver—either one person who doesn’t plan to drink during your trip or by alternating days with all passengers. Drinking and driving is illegal, and it is dangerous to you and everyone you encounter on the road. Make smart decisions and ensure someone is sober and ready to drive at all times. If you don’t have a designated driver, incorporate breaks into your road trip schedule. Plan to spend time after your tasting enjoying the scenery or talking with staff before moving along to your next stop. 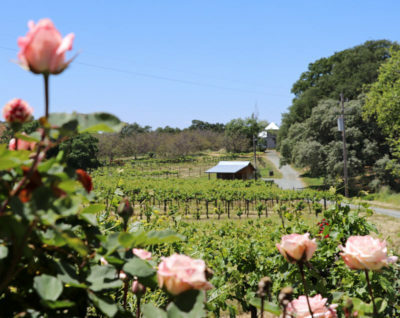 A California wine road trip is different than a night of bar hopping; it’s not about the quantity of wineries you visit but rather the quality of each visit. If you are going to be driving the car during your California wine road trip, don’t drink and drive. That is the most responsible choice you can make. During our road trip we met people who shared a single tasting, sipped and then spit out wine so they didn’t ingest it, and skipped tastings completely if it was their turn to drive. Pick a responsible strategy; we strongly discourage any decisions that lead to drinking and driving. There are hundreds of great wineries to explore, and your choices may overwhelm your experience if you don’t do some research before you get there! Some wineries focus on a single varietal, like Silver Oak, and some offer an extensive tasting menu. Doing your homework and selecting wineries in advance will help you maximize your time and your overall experience. Also, many wineries—especially in Napa—require reservations in advance, which may impact your itinerary and require some planning. Put together a budget and know which wineries will help you stay within it. 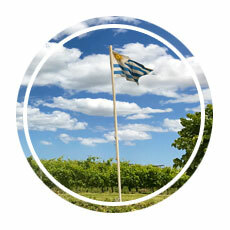 Some wineries offer a great tasting for 5 USD, and some offer only two or three wines for 75 USD. Your research will help you decide how to allocate your budget, but there is a lot of variety with regard to tasting fees, and you may be surprised at just how expensive they are—or how good a value you can find. Many hotels are expensive, especially during popular times of the year or on weekends, so book hotel rooms in advance and note their location based on the wineries you will visit. We had a fantastic stay at the Residence Inn by Marriott in Vacaville, CA, which was about an hour from both Amador County and Napa. The suites are enormous, so we had plenty of room to spread out, and we liked having a kitchen where we could eat a takeout pizza from Round Table Pizza (and a microwave to heat up leftovers!). We also loved the complimentary hot breakfast, and the staff was terrific—warm, welcoming, and full of suggestions for what to see and do while we were in the area. 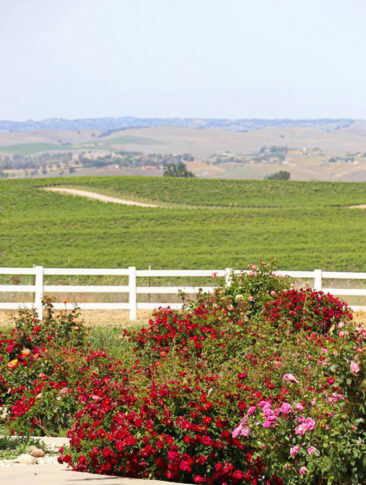 We loved planning and taking our California wine road trip. 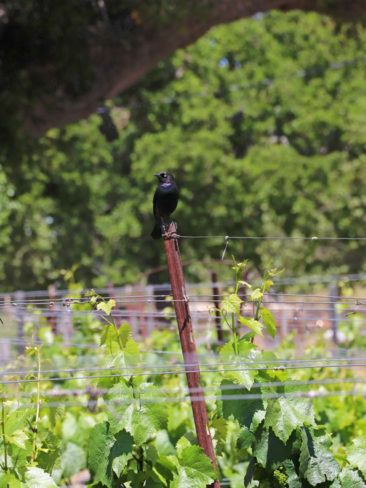 California is a beautiful state with so much to see and do, but we especially enjoyed learning about it through the wines they have and the people who make them. Let us know where your California wine road trip takes you—and remember to be responsible, drive safely, and enjoy every minute! Turn your wine bottle into a Knight? 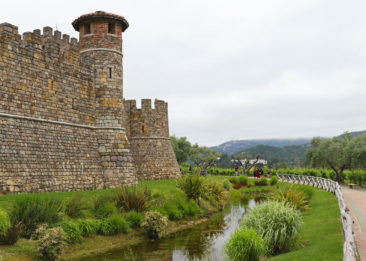 At Castello di Amorosa you can. Do you love exploring new wine regions? Here are a few more posts to keep you inspired! From time to time, our travels are directly impacted by a service or company. 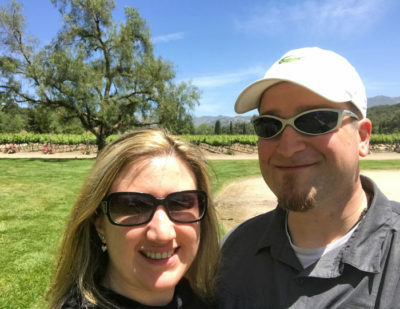 In this case, we visited wineries located throughout California, and this post includes our candid review of our experiences. 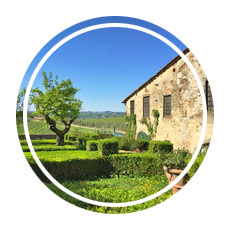 We selected these wineries based on our own research, travel needs, and interests; we were not offered and did not receive compensation of any kind from them or any other party in exchange for our review.